Le Lavachet is one of Tignes’ smaller villages, located just outside of Tignes Le Lac. Le Lavachet is perfectly placed for skiers and snowboarders to enjoy all of the amazing runs the area has to offer. With picturesque views, a laid-back atmosphere and some great attractions to keep visitors occupied off the slopes, it could make for the perfect ski holiday. Situated within the exceptional Espace Killy ski area, there is a vast array of amazing runs for visitors to choose from. Set at 2100m and with 300km of piste for skiers and snowboarders to choose from, all easily accessible through the interconnecting chairlifts across the villages. There is a variety of runs suited to beginners, intermediates and experts, making the Tignes region a fantastic place for experienced skiers to introduce their friends and family to the sport. Tignes is made up of 5 ski villages: Tignes Le lac, Tignes Val Claret, Tignes Lavachet, Tignes Les Boisses and Tignes Les Brevieres. 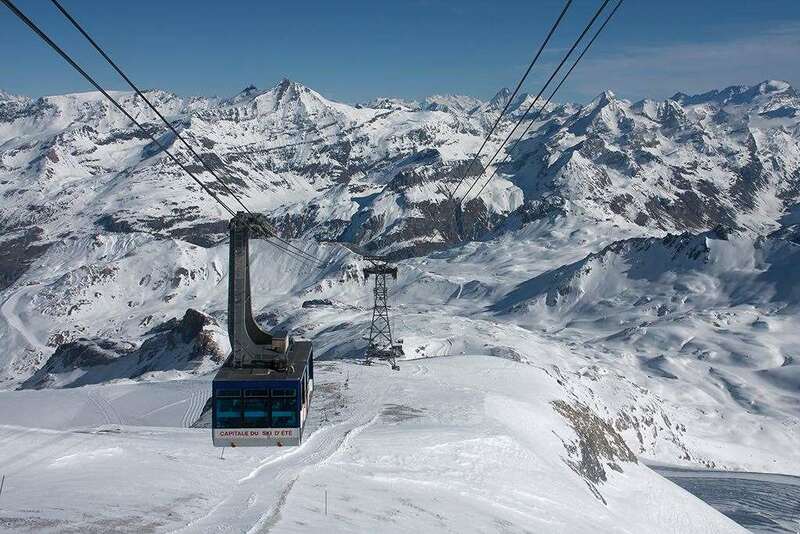 Tignes offers all year round skiing due to the Grande Motte glacier. Its high altitude and good snow cover means that the winter season starts as early as November and runs right through to May. Many snow cannons are used on many of the runs, ensuring an excellent surface for visitors to make the most of their time at the resort. Tignes Le Lavachet is situated in the Espace Killy ski area with quick and easy access to Val D’Isere, giving skiers and snowboarders a wide range of runs to help them develop their abilities and become even more accomplished skiers. There are 154 individual pistes across the region and 84 ski lifts to make it easy for visitors to find their way around the many amazing sights across the resort. There is a skiable vertical slope measured at 1900m, which is one of the biggest in the world and guarantees some truly breathtaking views. After you have spent some time on the slopes, the bars and restaurants of Le Lavachet provide excellent options to relax and unwind. TC’s bar is a fantastic spot to sit back and soak up the amazing scenery, and there are even some full English breakfasts on offer. Elsewhere, Brasero is an extraordinary restaurant for those who want to try some more creative dishes. You can expect live sports here along with a fantastic selection of drinks. However, if you’re looking for something quick and easy, Pizza Mick is a great recommendation, with plenty of tasty meals for those who want fast, good-value food. The free bus service allows you to travel to the resorts of Tignes Le Lac and Val Claret where there is a good range of bars, restaurants and clubs to choose from. The closest airports to Tignes are Chambery and Geneva. Hotel looking a bit tired. Staff very helpful and responsive. Food inconsistent and portions small - on such an active holiday customers need good quality food, well cooked and presented. Le Lavachet is a good location - ski bus great to and from Tignes le Lac and Val Claret. Would stay there again.